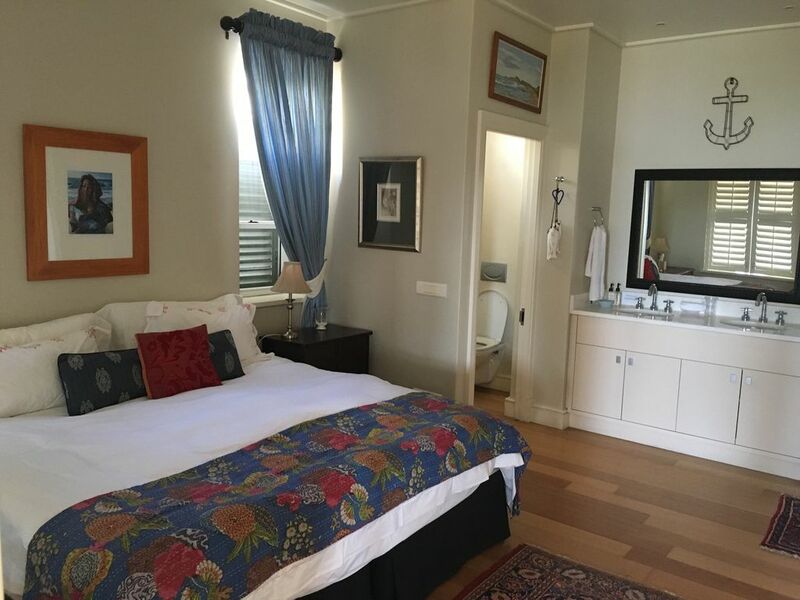 Harbour Place is situated in a lovingly restored historic building directly opposite the beautiful Kalk Bay Harbour. 130 square metres of designer luxury with a garden, wooden deck and covered patio give you more than enough space to make this apartment your home from home and take in the breath-taking vistas. The two bedrooms both have en suite bathrooms, and the living room is enormous, with comfy, eclectic furnishings, Persian carpets and original art. The kitchen is a chef’s delight and comes complete with Nespresso machine, dishwasher and every mod con you can imagine. The apartment is let with free uncapped wifi, a cleaning service twice a week and some basics in the kitchen. Guests have access to the beautiful swimming pool on the premises. Izak and Zelda are married and have a 16-year old daughter, Mia. We live in the Free State province, in a small town called Parys. We fell in love with Harbour Place while on vacation with a very young Mia : ) We walked into the apartment and were instantly charmed by the amazing harbour views. Harbour Place is unlike other address in Kalk Bay. It has all the grand old charm of a historical building, combined with perfect harbour and ocean views and central location.